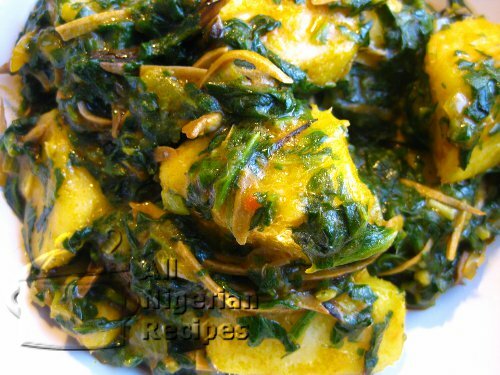 As the name states, this recipe is a basic yam and vegetable mix. 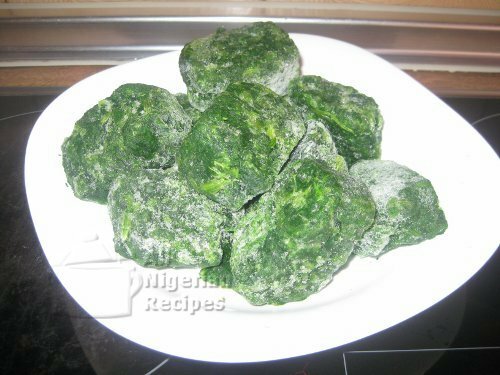 The good thing is that this recipe lets you try a wide range of leafy vegetables which can go with the yam staple: green Amaranth, fluted pumpkin, water leaves, spinach etc. Peel and cut the yam tuber into 2 inch cubes. Wash the yam cubes and place in a sizeable pot. Wash and cut the leafy vegetables, I used frozen spinach. Just leave to defrost a little bit and cut into small pieces. Then when fully defrosted, wring out the excess water. 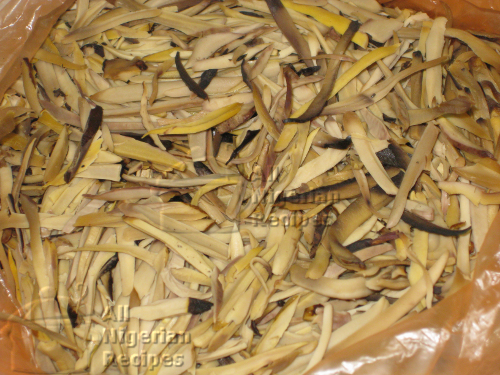 Pour enough water to cover the yam cubes and cook till the cubes are soft and the water is a bit like porridge. Now, pour out the water from the pot, leaving the yam cubes in the pot. Cover the pot to retain the heat. Add some water from the yam (about 1 cooking spoon) to the pot containing the vegetables. Cook till the vegetable is softened by the heat. Be careful not to overcook the vegetable. Pour the cooked vegetables and other ingredients into the pot containing the yam cubes. Add the palm oil and salt to taste. Stir with a wooden spoon till all the ingredients have mixed well. The yam and vegetable is ready to be served. Serve on its own or with Fried Plantain.